Snowy owls (Bubo scandiacus) are the heaviest owls in the United States. They are notable for their striking white plumage and their extreme northerly range which includes tundra habitat throughout Alaska, Canada, and Eurasia. While they are relatively rare, they are often spotted in winter when they hunt in windswept fields or dunes. The plumage of an adult male snowy owl is mostly white with few dark markings. Females and young owls have a sprinkling of darker feathers that form spots or bars over their wings, breast, upper parts and the back of their head. This speckling offers superb camouflage and enables juveniles and females to blend well with the summertime colors and textures of the tundra's vegetation. During the nesting season, females are often are heavily soiled on their underside from sitting on the nest. Snowy owls have bright yellow eyes and a black bill. Snowy owls range from the western Aleutians in Alaska to northeastern Manitoba, northern Quebec, Labrador, and the northern United States. They are primarily tundra birds although they sometimes also inhabit grasslands. They venture into forests only on very rare occasions, if ever. During the winter, snowy owls often move southward. During their migration, they are sometimes seen along coastlines and lake shores. They sometimes stop at airports, possibly because they offer them the wide-open habitat they prefer. During the breeding season, which snowy owls spend in the Arctic, they nest on small rises in the tundra where the female carves out a scrape or shallow depression in the ground in which to lay her eggs. 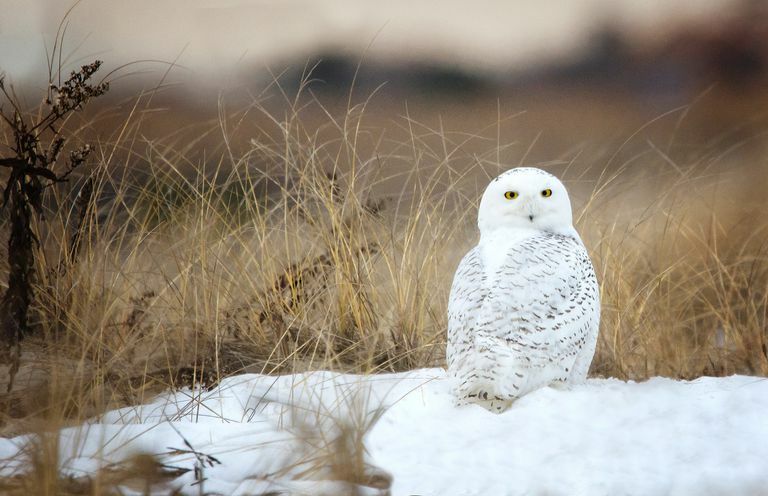 Snowy owls rely on prey populations that fluctuate significantly over time. As a result, snowy owls are nomadic birds and go wherever there are ample food resources at any particular time. During normal years, snowy owls remain in the northernmost parts of Alaska, Canada, and Eurasia. But in seasons when prey is not abundant in the northern stretches of their range, snowy owls move further southward. Occasionally, snowy owls move to regions that are farther south than their normal range. For example, during the years of 1945 through 1946, snow owls made a widespread, coast-to-coast incursion into the southern stretches of Canada and the northern parts of the United States. Then in 1966 and 1967, snowy owls moved deeply into the Pacific Northwest region. These incursions have coincided with cyclic declines in the lemming population. During the breeding season, snowy owls survive on a diet that consists of lemmings and voles. In parts of their range where lemmings and voles are absent, such as the Shetland Islands, snowy owls feed on rabbits or chicks of wading birds. Unlike most owls, snowy owls are primarily diurnal birds. This means snowy owls are usually active during the day, from dawn to dusk. Sometimes snowy owls do hunt at night. It is important to remember that within their Arctic range, snowy owls experience long summer days and hunting at night simply aren't an option as there are few or no hours of darkness. 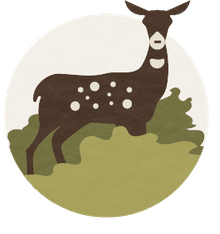 The opposite is true in winter when day length shortens and hunting during daylight hours is reduced or eliminated as the sun remains below the horizon for long stretches of time. Outside the breeding season, snowy owls make very few vocalizations. During the breeding season, snowy owls are a bit more vocal. Males make a barking kre or krek-krek call. Females produce a loud whistling or mewling pyee-pyee or prek-prek sound. Snowy owls also produce a low-pitched hoot that carries through the air for long distances and can be heard as much as 10 kilometers away. Other sounds snowy owls make include hissing, bill snapping and a clapping sound believed to be created by clicking the tongue. Normally, snowy owls lay between 5 and 8 eggs per clutch. But in good years when prey such as lemmings is abundant, they lay as many as 14 eggs per clutch. Female snowy owls lay their eggs at 2-day intervals so that the young emerge from the egg at different times. The hatchlings in the same nest are therefore of differing ages, with some having hatched as much as 2 weeks apart. There are approximately 200,000 snowy owls in North America. Despite conservation efforts, these unique owls are now considered to be a vulnerable species. While breeding areas are usually far away from human interference, climate change is impacting the snowy owl's Arctic habitat; the number of these birds is on the decline. Until recently, snowy owls were the only member of the genus Nyctea but recent molecular studies showed snowy owls to be close relatives of the horned owls. As a result, taxonomists have moved snowy owls to the genus Bubo. Other members of the genus Bubo include the American horned owls and the Old World eagle-owls. Like other horned owls, snowy owls have ear tufts but they are small and usually kept tucked away. “Basic Facts About Snowy Owls.” Defenders of Wildlife, 10 Jan. 2019, defenders.org/snowy-owl/basic-facts. “Snowy Owl.” Audubon, 21 Mar. 2019, www.audubon.org/field-guide/bird/snowy-owl. “Snowy Owl.” National Geographic, 24 Sept. 2018, www.nationalgeographic.com/animals/birds/s/snowy-owl/. All About Puffins, the "Clowns of the Sea"
Is the Canada Goose Actually From Canada? Surprising Facts about the Bald Eagle, Emblem of the U.S.